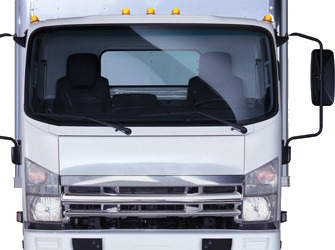 Light trucks and other similar sized vehicles have a reputation for poor ride quality. Often drivers will spend hours at a time driving commercial vehicles where vibration and uncomfortable seats can make life a misery and cause unwanted injuries. The Stratos LTSS was designed specifically for use in light trucks and other vehicles that necessitate suspension seating, in smaller cabin areas. The Stratos 3000 LTSS seat utilizes all of the Stratos 3000 Compact features with the addition of the new Stratos LTSS suspension system. Proven to considerably reduce vibration transmission to the occupant by up to 70%, the Stratos LTSS suspension system will provide both driver and passenger with increased comfort and support in even the toughest light truck applications. The Stratos 904RH-907 is a purpose built version of our Stratos 3000 LTSS suspension seat for installation into the drivers side of the Isuzu N-Series 1996-2007. The Stratos 3000 LTSS is an ergonomically designed seat featuring increased lateral support and our low profile 'LTSS' suspension which is proven to considerably reduce vibration transmission to the occupant by up to 70%. 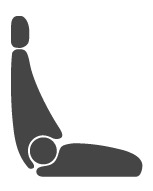 The seat can be enhanced with fold-up adjustable armrests and an air lumbar adjuster. Integrate our Stratos LTSS suspension system into your original Isuzu N-Series drivers seat with the Stratos 907RH seat conversion. This enables you to keep your seats original design and trim and is a lower cost solution to improve the ride quality of your truck. The Stratos 907RH is available in kit form which includes our Stratos LTSS mechanism and replacement base cushion. This conversion will transform the ride quality of your light truck. * Motor trimmer required to do the seat conversion. 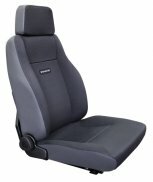 The Stratos 904RH-931 is a purpose built version of our Stratos 3000 LTSS suspension seat for installation into the drivers side of the Isuzu N-Series 2008+. The Stratos 3000 LTSS is an ergonomically designed seat featuring increased lateral support and our low profile 'LTSS' suspension which is proven to considerably reduce vibration transmission to the occupant by up to 70%. The seat can be enhanced with fold-up adjustable armrests and an air lumbar adjuster. 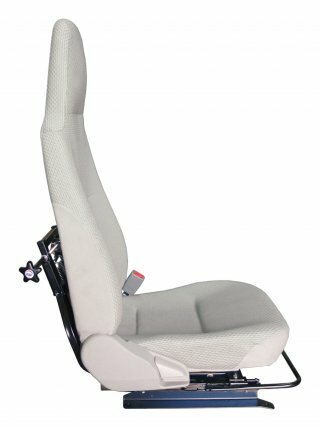 The Stratos 904RH-926 is a purpose built version of our Stratos 3000 LTSS suspension seat for installation into the drivers side of the Hino 300 or Dutro. The Stratps 3000 LTSS is an ergonomically design seat featuring increased lateral support and our low profile 'LTSS' suspension which is proven to considerably reduce vibration transmission to the occupant by up to 70%. The seat can be enhanced with fold-up adjustable armrests and an air lumbar adjuster. The Stratos 904RH-926 will dramatically improve the ride quality of your Hino to keep you more comfortable and in the vehicle longer by reducing the chance of fatigue. Integrate our Stratos LTSS suspension system into your original Hino 300 (or Dutro) drivers seat with the Stratos 926RH seat conversion kit. This enables you to keep your seats original design and trim and is a lower cost solution to improve the ride quality of your truck. The Stratos 926RH is available in kit form which includes our Stratos LTSS mechanism and replacement base cushion. This conversion will transform the ride quality of your light truck. 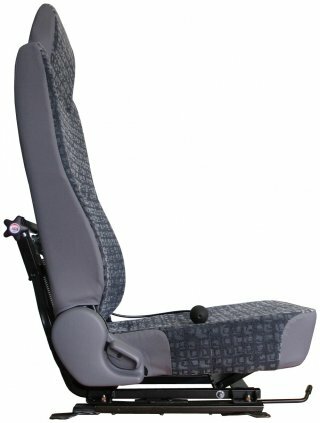 The Stratos 904RH-920 is a purpose built version of our Stratos 3000 LTSS suspension seat for installation into the drivers side of the Mitsubishi-Fuso Canter 7th Generation. The Stratos 3000 LTSS is an ergonomically designed seat featuring increased lateral support and our low profile 'LTSS' suspension which is proven to considerably reduce vibration transmission to the occupant by up to 70%. The seat can be enhanced with fold-up adjustable armrests and an air lumbar adjuster. Integrate our Stratos LTSS suspension system into your original Mitsubishi-Fuso Canter drivers seat with the Stratos 920RH seat conversion kit. This enables you to keep your seats original design and trim and is a lower cost solution to improve the ride quality of your truck. The Stratos 920RH is available in kit form which includes our Stratos LTSS mechanism and replacement base cushion or one of our stores can undertake the conversion process for you. This conversion will transform the ride quality of your light truck. 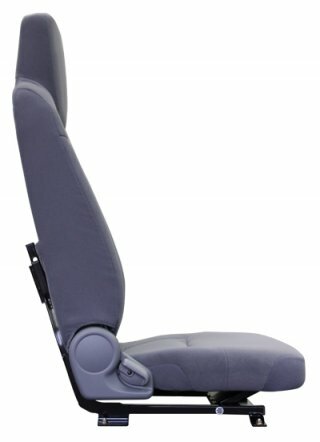 The Stratos 904RH-910 is a purpose built version of our Stratos 3000 LTSS suspension seat for installation into the drivers side of the Mitsubishi-Fuso Canter 6th Generation. The Stratos 3000 LTSS is an ergonomically designed seat featuring increased lateral support and our low profile 'LTSS' suspension which is proven to considerably reduce vibration transmission to the occupant by up to 70%. The seat can be enhanced with fold-up adjustable armrests and an air lumbar adjuster.